Remember Love Letters? It’s still alive and kicking, so keep your love letters coming my way! 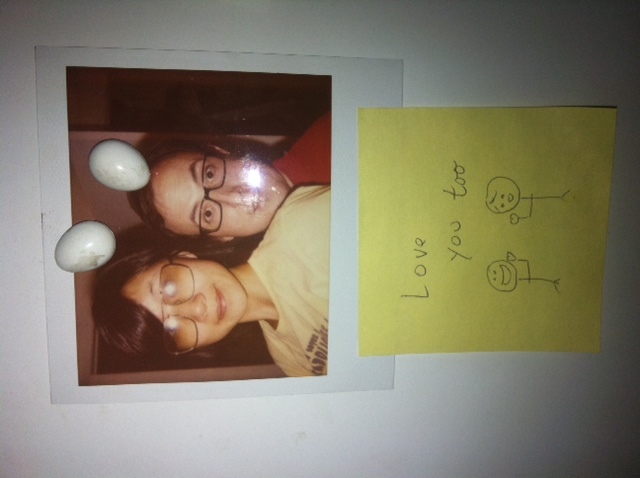 “Winn & I leave each other lots of post-it notes because of our different work schedules. And sometimes, he would leave me something extra funny on Friday nights, so when I have to wake up early on Sat. to work the Brooklyn Flea, I would be in a great mood (and usually I would be, thanks to his silliness). 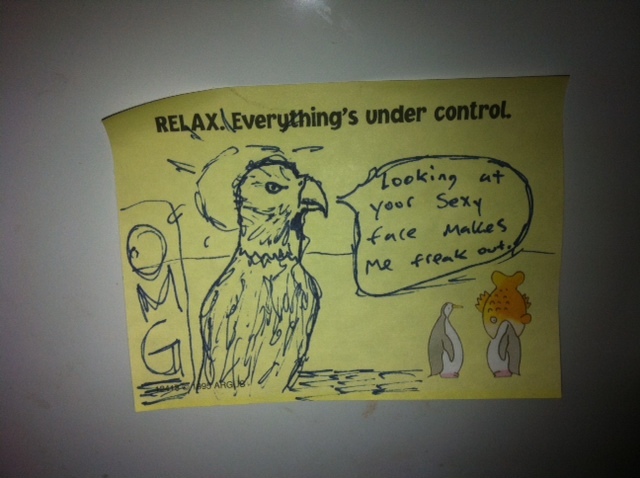 So one morning, I woke up finding this eagle drawing on the kitchen table which cracked me up so much (note my “OMG” comment on the left side). I loved it so much that Winn left me another one with the same eagle drawing but different crazy saying. Pretty soon, he started leaving more eagle notes, and gave him a name, “Barry”. He also left me notes on the computer screen from “Barry”. It was hilarious. Not only did this whole thing started off so ridiculous and funny, it ended ridiculous and funny as well.